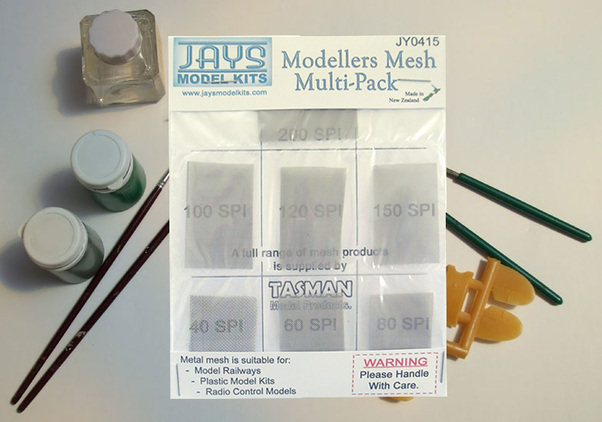 This convenient multi-pack contains all the grades of mesh that are currently available. The mesh can be used to simulate wire mesh on models such as the front of air intakes. Suitable for all forms of modelling, plastic model kits, R/C models and model railways.